This topic has 2 voices, contains 12 replies, and was last updated by TB Support 63 days ago. I bought and installed the theme Organie to opencart 2.2. Now, I have problem when edit the blocks. When I click on the edit button to edit a block, must to wait 20-25 seconds to load. The same problem happen when click to update settings. The site running on PHP 7.0, I don’t know if it matters. but this table not exist by default in opencart DB. Where is the problem? I read a lot of topics from BurnEngine with the load time and i tried many solutions, but i not find a good one. Please help me with a proper solution. Please give me an answer to these problems because I want to put live site asap. We’ve uploaded a new Organie version that fixes lots of problems including some related with the SEO pack extension. Can you please try to update? I updated the theme with the last version of burnengine 1.3.2. The same problem when try to install the stories and i installed the SEO pack module, but no result. And the same problem with the load of blocks. Nothing changed. Unfortunately we cannot reproduce the problem locally. Can you please provide a valid FTP account so we can check your installation? I waiting your information and I hope to resolve the problem because I want to put live site. I waiting 3 days for an answer and another week to respond for first time. Could you help us with these problems? we are in a hurry because we can’t put live website due of this issues. 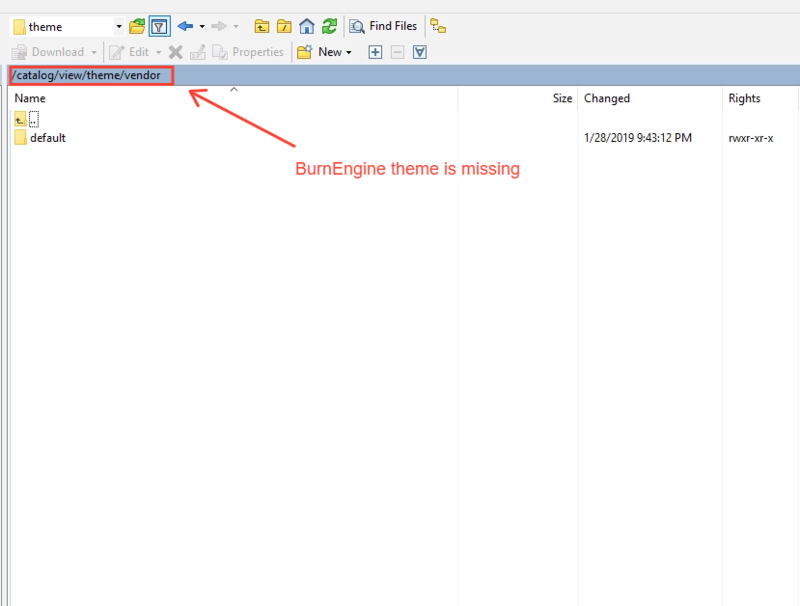 There are no BurnEngine theme file, many other folders and files are not visible either. Can you please check? Another thing that might be the cause – the PHP version. 7.0 is not supported anymore by the PHP dev team and is causing problems on some hosting environments. Can you upgrade to 7.1 or 7.2? We have some new fixes locally and will upload them once you provide a valid FTP details. Sorry my mistake. Below are the correct credentials. The current version of PHP that running is 7.1. You can check. Let me know if everything is ok.
We’ve uploaded a few more fixes and the blog page now works fine. The slowdown in PageBuilder however is still there and we are still examining it. Will provide more information when we find something – please do not revoke the ftp and admin access. Now the Stories works, but you overwrite the files of the theme (and we already do the same when updated it) and overwrite our extra modifications in the files. Now must to check every modification in backup and put again in every file…. Please let me know when you are done because we are hurry and we can’t wait another week. Any answer for the problem? We can’t wait 2 weeks to resolve these problems, it is imposible and we lose money. We are sorry about overwriting your changes, but you haven’t told us about any theme modifications – that is why we’ve uploaded the entire theme package. About the Page Builder – unfortunately we were not able to identify the exact cause, but most likely this is something related with the server environment. Until now no one has reported such an issue. Do you have any different hosting where you can check?